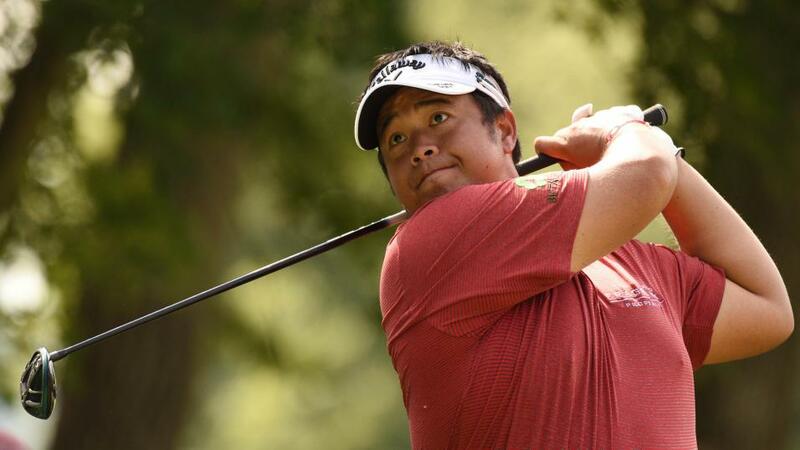 Can Kiradech Aphibarnrat go one better than last year's second-place? "Wallace has won four times in the last 19 months, he has the necessary length required to win here and he's clearly not afraid to. The 45/1 on offer is more than fair." Last Friday at the Nedbank Golf Challenge, Ross Fisher played one of the strangest rounds in European Tour history even though it added up to what appeared to be a lacklustre even par 72. The reality was very different as he shot 8-under on his first 14 holes and 8-over on his last five, the collapse started by a nine on the 15th when he had tree trouble (a dead tree that Matt Wallace later moved before escaping with par). What impressed me was that Fisher came out the next day and shot 67, revealing later that he'd sat down with his psychologist and caddie and resolved what had happened. He went on to finish fourth and now heads to an Earth Course which he says suits his long and straight hitting. He's finished T17 there the last two seasons and the last time we saw him tee it up in the United Arab Emirates, the Englishman finished runner-up in Abu Dhabi at the start of the year. As we've seen with his amazing 2-1-1 record in the last three Dunhill Links renewals, Tyrrell Hatton is extremely reliable given the right conditions. That particular birdie-fest aside, I reckon these events in the Gulf - involving wide fairways and fast greens - are his best chances of the year. He's finished 3-3-8 in the last three Dubai Desert Classics and landed four top-15s from five in Abu Dhabi. In this season-ending, elite finale, Tyrrell was runner-up in 2016 and his worst finish in four tries was 13th. Either side of a fine Ryder Cup debut, he looked a winner-in-waiting. Sure, bettering these elite rivals is a tough ask but I'm confident of a very good run from a player who retains plenty of potential for improvement. Matt Wallace played impeccably well at the British Masters last month before putting frustrations finally took their toll and he eventually fell to 16th once the title was lost, having looked the likely winner at various points. A pair of low-key performances followed in China and Turkey but he impressed again last week when he finished fifth in his first ever Nedbank Golf challenge appearance. Tournament host, Gary Player, spoke very highly of Wallace, describing him as someone capable of winning a major and it's hard to disagree with that. He practices with Padraig Harrington to improve his short game and after working relentlessly with the putter before the off, he improved dramatically on the greens last week. Wallace has won four times in the last 19 months, he has the necessary length required to win here and he's clearly not afraid to. The 50/1 on offer is more than fair. To be honest with you I am still in pain from Mikko Korhonen's final round meltdown when put up at 100/1 last week, but I have to dust myself down and crack on with the European Tour's marquee event where one man catches my eye. While not quite written off by the market four-time European Tour winner Kiradech Aphibarnrat is a slightly dismissive 45/1 this week and in a power-hitting, birdie fest that will do for me. My man was fourth just three weeks ago and while in-between tournaments have been pretty average he is always capable of turning it on, and conditions certainly look like suiting this week. We already know he likes the course, as evidenced by a runner-up spot last year, just a shot back from Jon Rahm. While only 82nd for driving distance on the European Tour, Aphibarnrat is still competitive off the tee, and his golden touch on and around the greens definitely makes him competitive on the Greg Norman-designed layout. Given a hot week he is just as capable of winning as the star names in the field. In his three visits to the Earth Course Matthew Fitzpatrick has produced three excellent efforts, finishing fourth on debut, winning in 2016, and finishing a highly respectable 12th when defending his title 12 months ago. He's 33/1 to win this year and I believe that's very much worth chancing given the Englishman won't attract the same media attention this time around; not only is he not defending but he's also not in contention for the Race to Dubai title so all attention will go elsewhere in the lead-up to this week's event. Fitzpatrick has been in decent form of late if not spectacular, but it was only five tournaments ago that he won another birdie-fest event, the European Masters in Switzerland. As well as being a previous winner here the 24-year-old has plenty of desert form to his name for one so young, including finishing top five in both Abu Dhabi and the Dubai Desert Classic, and I'm finding it hard to see him not being in the shake-up this week.